Have you always wanted to be on a gameshow and win some money? A new online gameshow is now looking for contestants. This is not a TV gameshow, this is a web based online show where contestants compete over Skype. Contestant play the game from their home. No need to go anywhere to be on the show. Tryout for “Let’s Ask America” for a chance to play and maybe win some prizes. 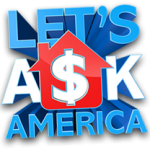 “Let’s Ask America” is a daily, half-hour, television game show that lets you, the home viewer, be a contestant on the show on TV from the comfort of your home via Skype. To be a contestant, all you have to do is go to the show website and sign up. Every day, four contestants will be chosen to play the game and win up to $50,000 cash via Skype from their home. Think you can predict what America is thinking? Do you want to earn money from the comfort of your home? Fill out the form below, and you could be selected as a contestant for Let’s Ask America! The show is casting all over America, to apply for the gameshow you can Visit www.letsaskamerica.tv. Casting engaged moms and daughters!